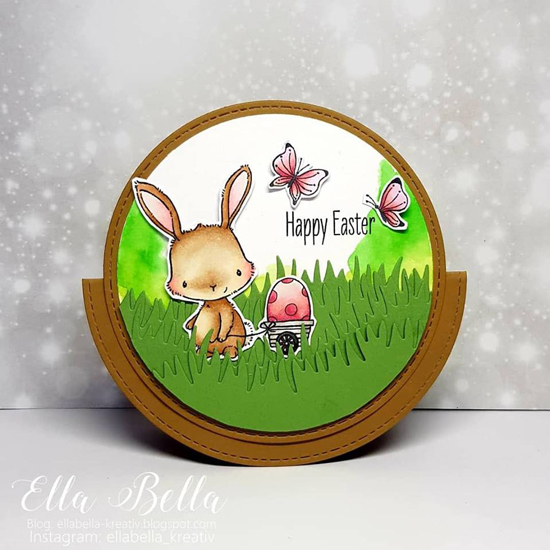 Ella created a circular card featuring an adorable Easter scene complete with a bunny, an Easter egg and a couple of fluttering friends. By layering two circle die cuts and folding one in half, she was able to create a card base that has room inside for a message. 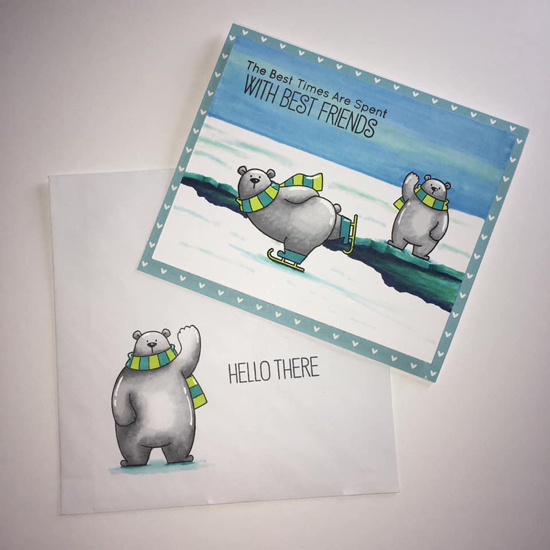 Myriam isn't quite done with her winter-themed stamps - we adore this icy outdoor scene she created featuring the Polar Bear Pals stamp set and a beautifully colored background using Copic markers. 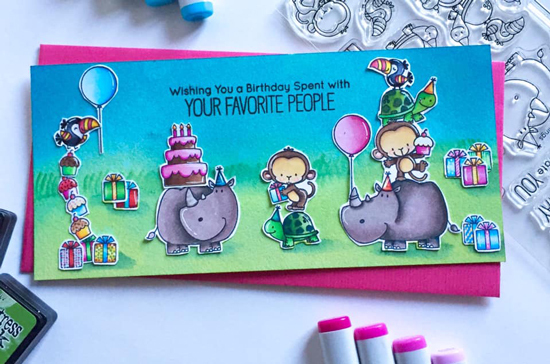 A coordinating stamped envelope coordinates nicely with her card design, providing the perfect way to present it to the recipient. Tina used the Mini Cloud Edges stencil to create an inked background and added two die cut grassy hills to complete her landscape. 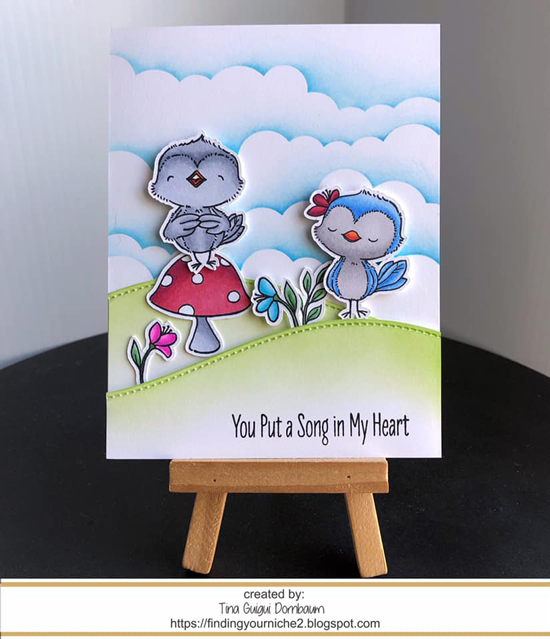 The adorable stamped birds with the addition of the flowers and mushroom form a sweet scene perfect for spring. 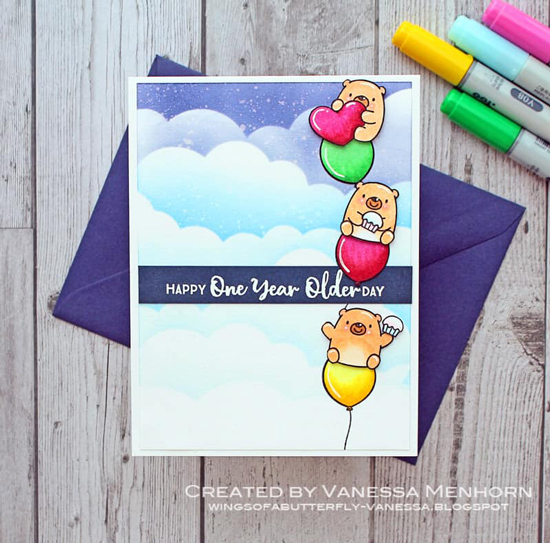 Three Bitty Bears floating on colorful balloons, backed with a cloud-filled sky is an adorable way to send birthday wishes to someone special. The added sentiment strip in the center adds a festive greeting and helps anchor the scene. Sometimes the scene you want to create is bigger than a standard A2 sized card base - Cristina made it work on her design by using a long, landscape base with inking to create her landscape. 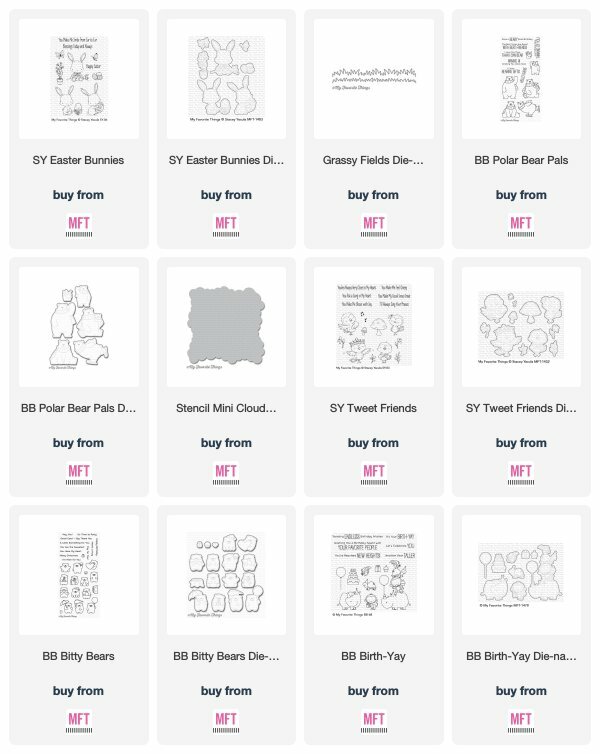 She completed her scene with an assortment of stamped characters ready for a birthday celebration. Thank you for the shout-out! So many cute cards!